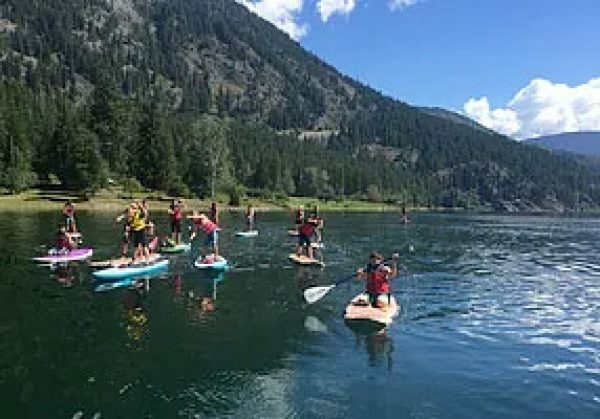 Teen SUP Camp is a 5 day program giving teens the opportunity to learn to paddle on a stand up paddle board, to meet other teens with similar interests and to challenge themselves with a new summer passion! This program is unique in that those enrolled will obtain certifications by Paddle Canada in basic skills, advanced skills and river skills on the Columbia! Day 3- Class I river and overnight! Day 4- Lake Crossing Challenge day!